We are your local water damage restoration specialist covering London & the surrounds. When a water disaster strikes, give us a call. We can be with you the same day in most cases. Water damage in your home or business is a serious matter; it can shortly become very hazardous to your health where electricity is involved, and dangerous in the long run if mold grows. Water Damage can be caused by multiple sources such as broken water or sewage pipes; dishwasher, washing machine, or appliance malfunctions; or heavy rain and river water flooding. Thus time is of the essence when you’ve discovered water damage on your property; we can begin by undertaking a thermal imaging survey, complemented with ultrasound, in order to map the damp and non-destructively establish where the water originated and prove how much of your property has been affected. This can be crucial in demonstrating just how far we need to go in the restoration process. Our reports facilitate insurance water damage restoration claims with the empirical facts and figures you will need, compliant with techniques outlined in the IICRC S500 Standard and Reference Guide for Water Damage Restoration. 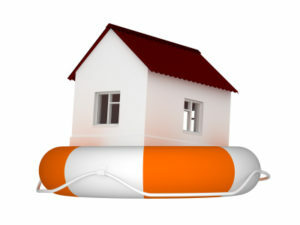 Don’t let water damage depreciate the value of your home or business property. Not only can putting off water damage restoration jeopardise you and your family’s health, but our experience has shown that more than 48 hours after the flood damage many valuable possessions are no longer salvageable and unfortunately require costly replacement. Worse, structural damage to untreated walls and floors could become irreversible and result in your home or business premises needing complete refurbishment. Water Damage offers our customers the full complement of water damage restoration services including not only structural drying and water removal but also content cleaning, structural repairs, flooded carpet cleaning, painting and complete refurbishment to pre-damage condition. Get your water damage treated quickly, you can minimise the potential cost of restoration costs and stop the growth of contaminants. The water damaged area is less likely to grow mould if it is properly dried within 48 hours of damage. Mould is extremely difficult to eliminate once established, frequently causing problems for many months. Let our professional associates from Water Damage respond to you right away for an accurate damage assessment and a free quote.